Reliance Jio's 4G download speed topped at 19.12Mbps, followed by Idea Cellular and Vodafone with download speeds of 13.70Mbps and 13.38Mbps respectively. Bharti Airtel dropped to fourth with a download speed of 10.15Mbps. Reliance Jio has once again topped the list for 4G download speeds for the month of April. 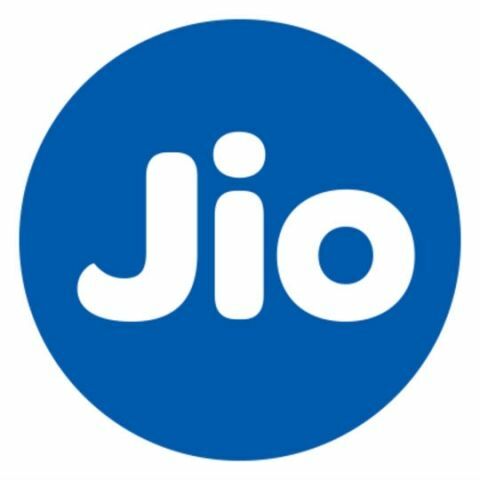 According to the latest data offered by Telecom Regulatory Authority of India (TRAI), Reliance Jio offered a maximum download speed of 19.12Mbps in April, which was more than the 18.48Mbps speeds recorded in the month of March. 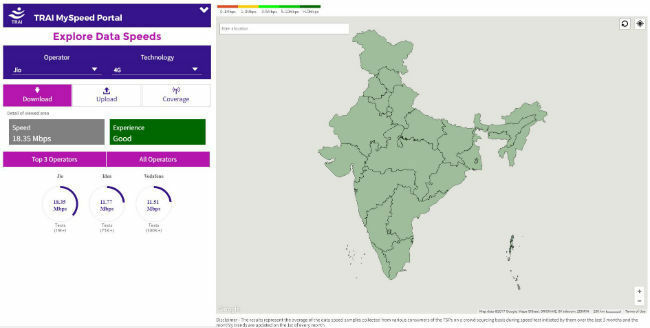 TRAI uses its MySpeed app to collect and compute real-time data speeds of various telecom operators in Inda. For the month of April, Idea came in second with a download speed of 13.70Mbps, followed by Vodafone with a download of 13.38Mbps. Bharti Airtel dropped to fourth with a download speed of 10.15Mbps. Since Jio announced its Dhan Dhana Dhan offer, the download speeds on the service have increased considerably. This is the fourth consecutive pole position for Reliance Jio in TRAI's data speed charts. However, its download speed is far from the promised speed of around 135Mbps, with far less latency than that is currently experienced by internet users. Vodafone seeking merger with Reliance Jio, Idea Cellular? Reliance Jio reportedly has over 100 million subscribers since its commercial availability in September last year. During its recent quarter result, the company claimed that over 72 million subscribers have enrolled to its Prime service. The company is also rumoured to launch its home broadband service around Diwali and the base pack for the service is tipped to offer 100GB data for Rs. 500. Which is the best broadband connection(in terms of download speed)? What is Download upload speed of redmi 1s ? Can I get The subscription only for one month? MEGA download speed is suddenly extremely slow?